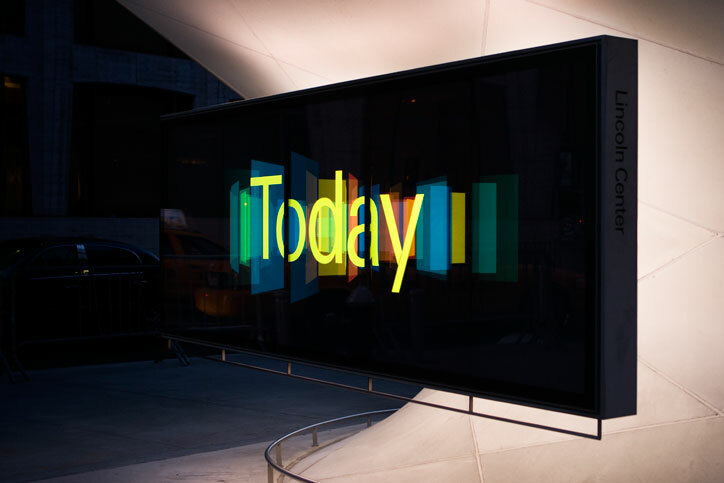 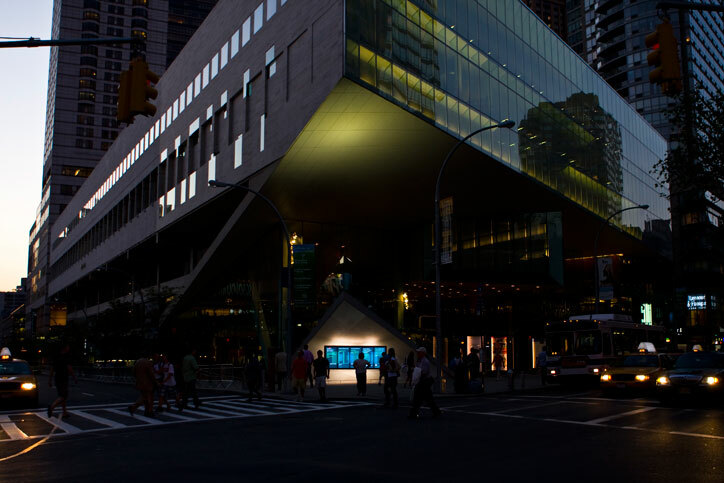 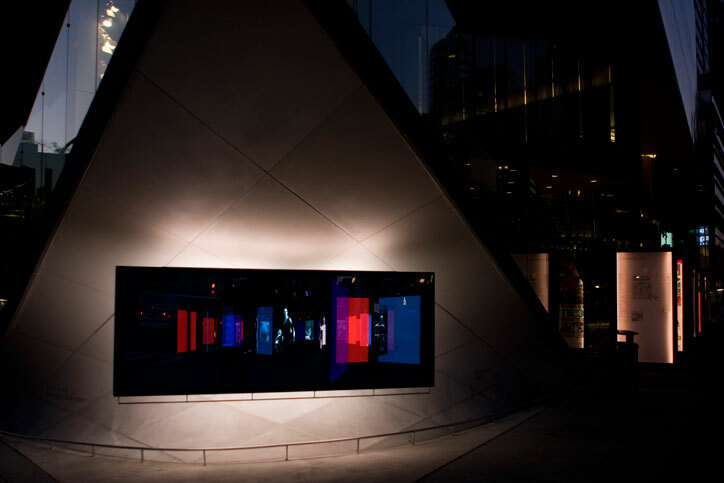 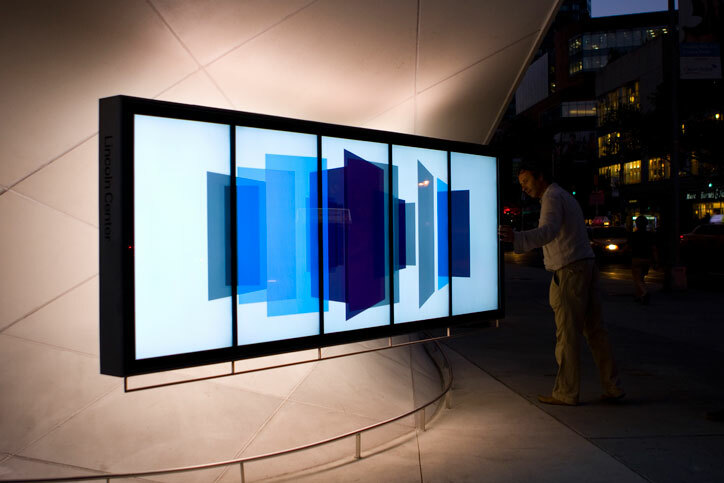 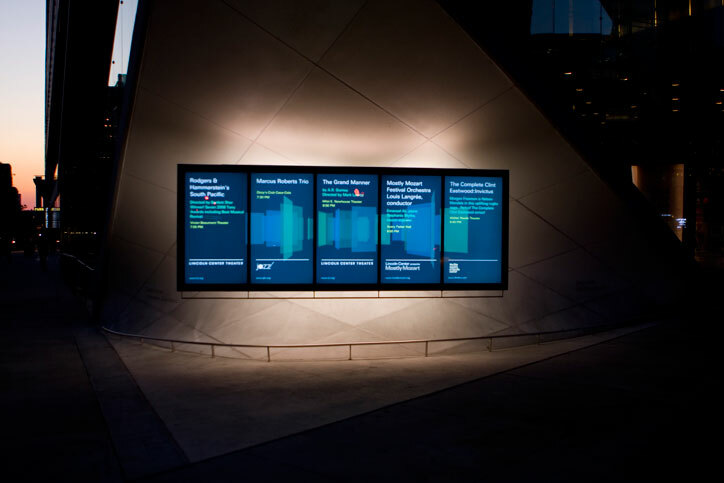 The Lincoln Center “Infopeel” is a large outdoor video display in front of Alice Tully Hall on Broadway. 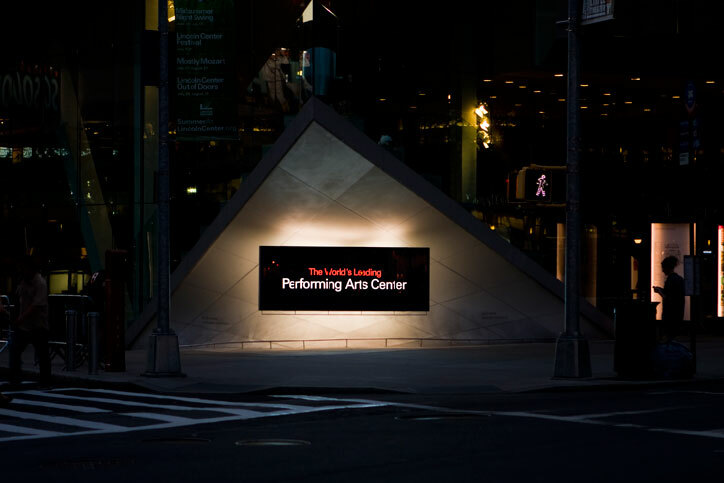 The Infopeel was built as a part of Lincoln Center’s architectural redesign, led by award-winning studio Diller Scofidio + Renfro. 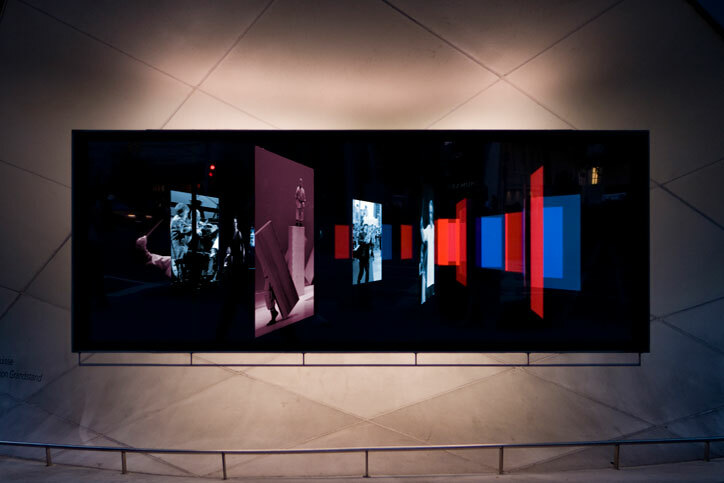 I designed, animated, and presented a branded graphic system for the Infopeel, which had to represent Lincoln Center and its twelve constituents (such as The Metropolitan Opera, New York City Ballet, New York Philharmonic, Jazz at Lincoln Center, Juilliard, and others). 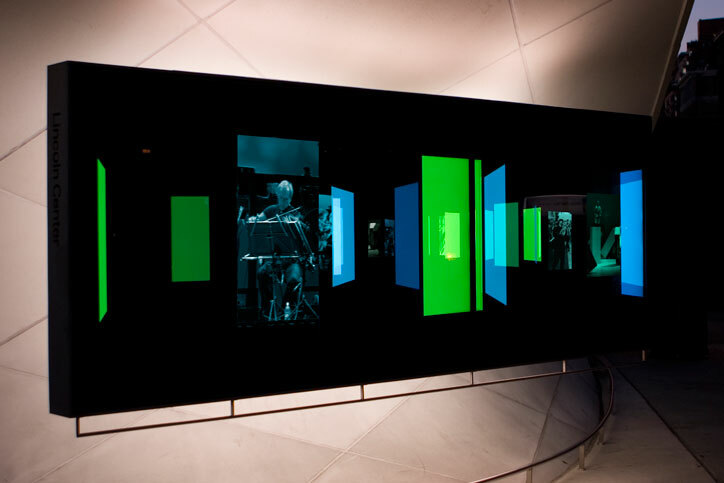 I worked on the Infopeel while at Emmy-award winning design studio Imaginary Forces.